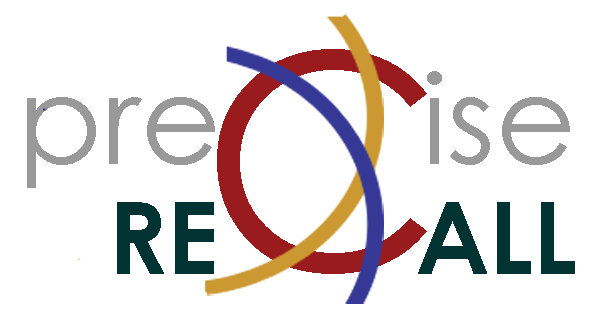 Linked Data for Professional Educators (LD4PE) adapts relatively standard WordPress tools to support discovery of learning resources relevant to Linked Data topics. 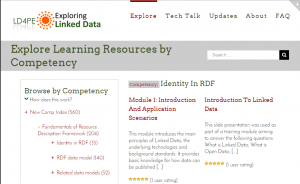 The IMLS-funded project created back-end tools supporting display of a curated list of learning competencies relevant to Linked Data, allowing users to select a competency to view descriptions of learning resources addressing that competency. I have led front-end development and configuration while also coordinating technical architecture with separately hosted open-source back-end components. I have also played a key role in public communications, including presenting at DCMI’s annual meeting in Copenhagen in October 2016. Photos from Flickr users Newton Free Library, Rochelle just rochelle, and haikugirloz under Creative Commons licenses. UW iSchool Curriculum Information Process – To solve problems inherent in the system of course information at the UW iSchool, my project partner and I proposed a substantial consolidation that would gather all information available to current students and the public into a single listing that users can filter based on their criteria. Sample wireframes & prototypes – Sample wireframes come from two projects. The first is a proposal addressed to a small firm selling specialized devices for controlling stage audio and lighting equipment and the second from an exercise implementing a business case for multiple-destination flight search serving a business traveler. Instead of the default choice of roundtrip or a one-way option, the traveler decides to consider adding a personal side trip to the return leg of a flight to attend a meeting. Screen grabs from Axure give an idea of the back-end work, and linked prototypes show wireframes for web and mobile device with varying levels of functionality. All are initial products created to spark discussion rather than finalized designs, as is appropriate at the wireframing stage of a project.